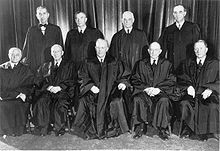 This concept of separate but equal was thus the law of the land until the 1954 Supreme Court case, Brown vs. Board of Education, and much of the United States was officially segregated on racial terms. Louisiana had passed a law in 1890 creating racially segregated rail cars. Was Homer Plessy right to challenge the segregation law by disobeying it? Mohandas K. Gandhi and African-American civil rights pioneers have also used this technique to challenge laws that seemed manifestly unjust, when normal ballot box recourse seemed unrealistic. Please share with us your thoughts on what laws should be challenged this way, and conversely which ones should not. Hoffer, WilliamJames Hull. Plessy v. Ferguson: Race and Inequality in Jim Crow America (Landmark Law Cases and American Society). University Press of Kansas, 2012. Medley, Keith. We As Freemen: Plessy v. Ferguson. Pelican Publishing, 2012. Thomas, Brook. Plessy v. Ferguson: A Brief History with Documents. Bedford/St. Martin’s, 1996.